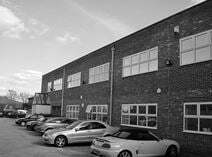 This property offers a range of furnished and unfurnished offices, with ample on-site parking. Located within the Ferndown Industrial Estate, with easy access to Bournemouth airport and town. The site is located close to the A31, providing a direct link to Southampton, and the M3. The surrounding areas offer various places to eat and drink, as well as places to stay. Tenants can access the space 24-hours a day. Various sized office and workshop units on flexible terms, are offered at this site. There are good on-site amenities,. which include meeting rooms, access to a kitchen, a car park, a business lounge and a restaurant. Tenants have round the clock access to the secured site. Located at Ferndown, a short drive from Bournemouth, with the nearby A31 providing a fast link to Southampton, and the M3 beyond.